Great news from the North! Asociación ONG Añañau is a nonprofit and non-governmental organization that was founded in December 2014 in Cusco, Peru. 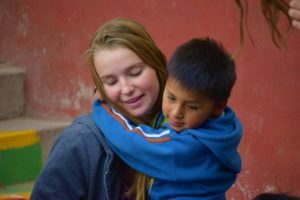 It works with children and youngsters between 4 and 18 years old, who live in extreme poverty and unstable family situations in the district of San Jeronimo, a suburb of Cusco. Since January 2015 the organization is recognized as an official NGO in Peru.